Join us to learn about traveling with Adventures by Disney. Discover the Disney difference! 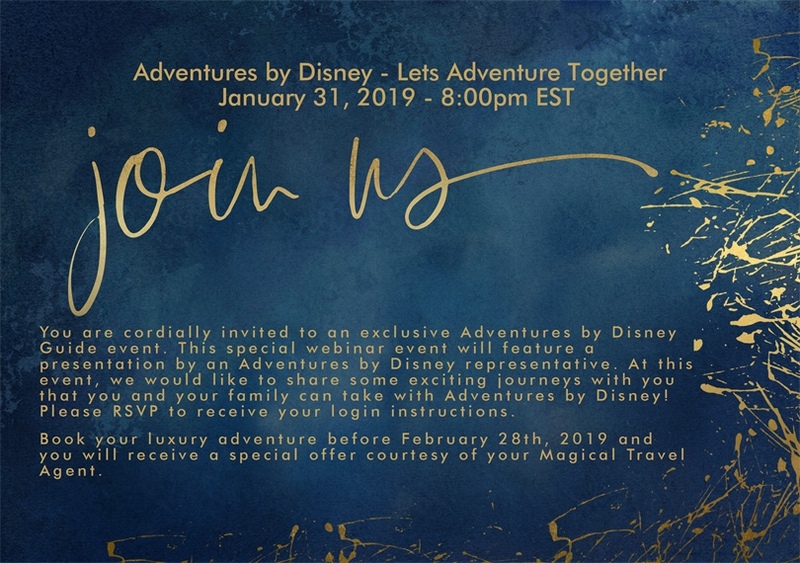 Book an Adventures by Disney vacation with Magical Travel before February 28, 2019 and you will receive a special offer courtesy of your Magical Travel Agent. Traveling with Adventures by Disney is hassle-free so you can enjoy being immersed in the cultures, stories and people of the world. Discover some of what’s included in your luxury guided vacation!